We met Miss Kitty and her four beautiful 2-month-old kittens back in April of 2013. Her human mom, 85 year old Charmaine, called a TC volunteer for help and advice. Really nice, smart and caring lady who just wanted to do the right thing for Miss Kitty. Wendy, helped Charmaine spay and neuter Miss Kitty and her babies, and the kittens found homes through another rescue. Miss Kitty went back to live with her mom, Charmaine and lived 3 more wonderful years with her. Last summer, Wendy received the news that Charmaine’s family wanted to sell her house, she was to move into an apartment where she could not take her sweet companion, Miss Kitty. Volunteers Sara and Wendy jumped into action and helped Miss Kitty get into Town Cats’ adoption system. Miss Kitty bonded so intensely with her original mom she had a difficult time adjusting to the new environment. She was so confused and scared when she came into our adoption center that we made the decision to have her fostered for a while. Catalina, another TC volunteer, helped Miss Kitty relax and learn that she could trust and love other humans. She has once again blossomed into a loving companion and has been waiting to meet her forever family since March of this year. 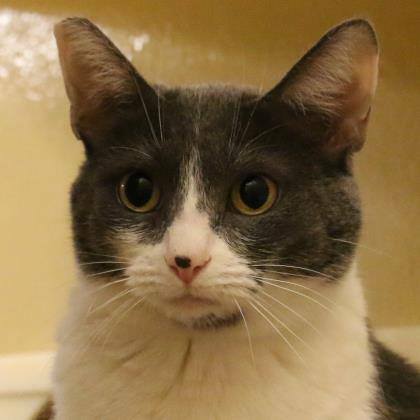 We know that parting with Miss Kitty was devastating on both Charmaine and Miss Kitty, but we are grateful Charmaine loved her enough to let us help find a new family for Miss Kitty. And we are on a mission to get her home soon. She would probably do well in any type of household but we get the feeling she is at her best when she doesn’t have to share her humans with other pets. 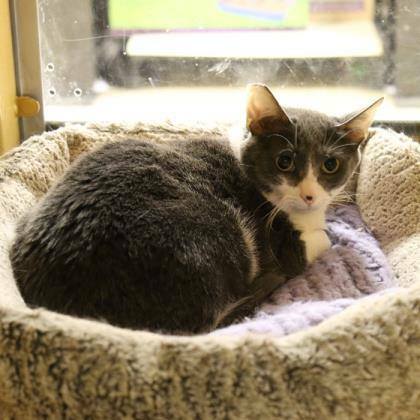 If you are looking for a senior kitty or know someone who would benefit from a loving companion, please share our post and help us find a loving family for this sweet lady who has many years of cuddles to give! For more information please contact Sarah at 408-564-2285 or sarah.lorincz@towncats.org. Come meet her at Pet Food Express on Blossom Hill today!